and quickly and effectively to put the fire out. please bless, with your protecting hand, my family and my wife. 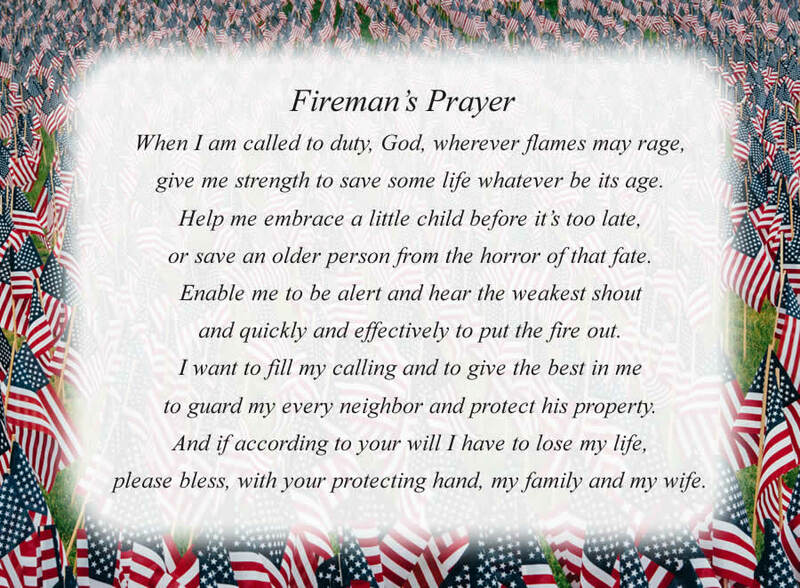 The poem, Fireman's Prayer, is free and printable by opening or downloading using one of the three links below.